Olga Szubert is the Senior Policy Analyst in the Sustainable Financing team. She leads the 10 by 20 campaign, which calls for the redirection of funds from ineffective drug law enforcement to harm reduction, and works with national partners to implement the campaign. Additionally, Olga critically reviews key international policy developments that impact financing for harm reduction, and plays a critical role in HRI’s UN advocacy. She sits on the Civil Society Taskforce on Drugs and represents Harm Reduction International at the UNAIDS Program Committee Board, the Commission on Narcotic Drugs (CND), and CND intersessionals, and leads on financing-related technical assistance initiatives with national partners. Olga has over a decade of professional experience in HIV, LGBT and human rights advocacy and campaigns. 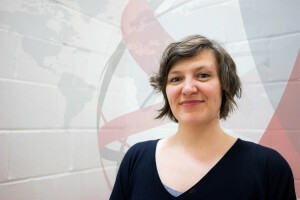 Prior to joining Harm Reduction International in 2015 as Campaigns Manager, Olga worked at Stonewall as International Policy Officer, and at the International HIV/AIDS Alliance as Policy and Campaigns Officer. She holds an MA in International Relations from Sussex University and a second MA in International Relations from Adam Mickiewicz University in Poznan, Poland. She also studied International Relations at Taras Shevchenko University in Kiev, Ukraine.